We begin our treatment with a thorough inspection in order to find areas of high cockroach activity. We then identify which species you have so we can treat them accordingly. To control them, we use baits specifically designed for cockroaches that use their natural feeding habits against them. Young cockroaches prefer to remain well hidden and feed largely on the droppings of the adults, which in the past has made controlling them more of a challenge. The baits we use can pass through the digestive system of an adult before killing it and still contain enough active ingredient to control the young cockroaches as well, producing excellent results. By focusing our treatment on the cracks and crevices in which cockroaches prefer to hide, we can eliminate them quickly while keeping the amount of product we use indoors to a minimum. Safety and environmentally responsible practices are top priorities for our company. We only use EPA registered products and apply them with the safety of your family and pets in mind. 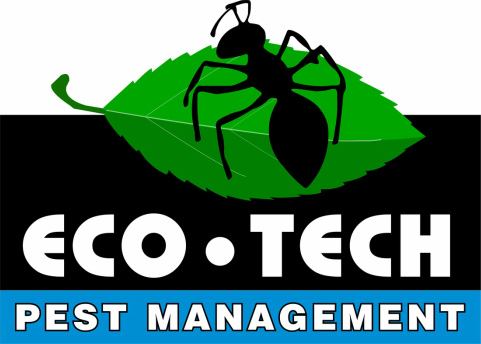 As with all of our services, our cockroach treatments are backed by a written guarantee. Cockroaches are one of the most universally detested pests out there and for good reason. They are known to carry a variety of diseases, some of which can be spread to people. 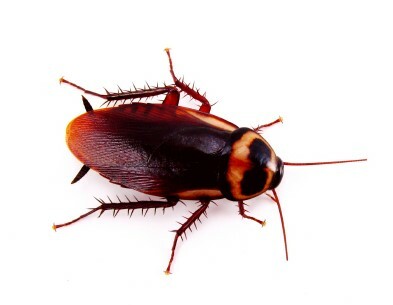 Cockroaches are often found living in garbage, drains, bathrooms, and other damp unsanitary areas. Due to their preferred living conditions, they come into contact with a wide variety of bacteria and germs which they carry on their bodies. The cockroaches then contaminate items they come into contact with during foraging, such as dishes, utensils, food, and food-preparation surfaces. The most common diseases spread by cockroaches are food poisoning and gastroenteritis. Cockroach droppings and cast skins are known to contain several allergens which can cause watery eyes, sneezing, rashes, and breathing problems for people with asthma. Cockroaches are one of the most common pests we encounter. Their key to success is their incredibly high rate of reproduction. The German cockroach, for example, (which is one of the most common species we encounter) has the highest reproductive potential of any pest species. Under optimum conditions one pregnant German cockroach and her descendants can grow to a population of 63,281,250 mature adults by the end of one year (Norm Ehmann, PCT Magazine July 2007). With such a high rate of reproduction, it is easy to see how a just few cockroaches can become a major infestation in a relatively short amount of time.